What is the most important aspects of any business owner’s executive strategy is outsourcing. As a company, the owner or executive manager must decide what to outsource and what to keep in-house. By outsourcing processes that are not critical to competitive advantage of the company, decision-makers stand to increase profitability. Outsourcing linen service is one of those small investments that can provide big returns. For businesses in the service and hospitality industry, including hotels, restaurants, country clubs or others, outsourcing certain processes like linen services can actually result in cost savings. How is that so? Well, instead of buying, laundering and using linens like bed sheets or table clothes all by yourself, you can simply have another company do it for you. That means, instead of having to have an employee and possibly an additional manager to carry out the linens operations, they will be taken care for you by someone else who is already doing it for others. Obviously, the outsourcing company has lower cost because they are doing it for more people and you get to save money by giving them more work too. It’s a win-win for both parties. Businesses have an environmental responsibility to uphold. If you want to run an ethically conscious business, outsourcing linen services can help you do just that. Many of the top commercial linen services offer green services. These environmentally-sustainable services help your business reduce its environmental impact. It is an excellent content marketing advantage to promote to your customers, especially in today’s age of the conscious consumer. If you own a socially conscious business and want to lessen your environmental impact, consider using sustainable linen services to help you achieve your goal. It is never too late to start making your business better for less through outsourcing services that are not vital to your company’s competitive advantage. 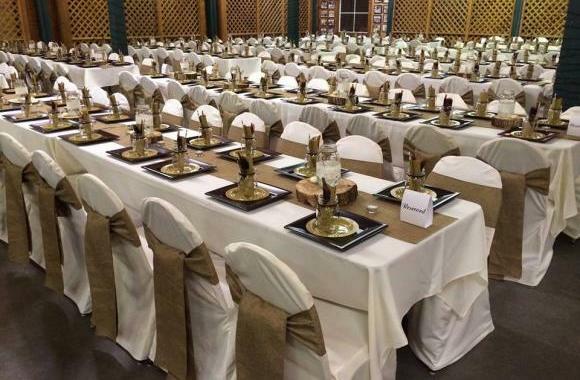 If your business is not already currently using a linen rental service, you are sure to find one in your local area. Especially, if you’re located near other hotels or restaurants, there are probably two or three linen service companies around. For destination or tourist areas, there could be several more because of the volume of linens needed to be picked up, laundered and delivered for use. To pick a proper linen rental service company, you want to consider a few key factors. These attributes will help you the right partner for your business, increasing the chances of it high quality long-term partner for linen rental. Once you have considered these factors, you have been a much better position to make a definite decision. Of course, you would like to have a linen rental service that is close to your current establishment. The farther away the outsourcing linen company is, the higher the cost of transportation will be. Additionally, if the outsourcing company is far away, there is a higher risk of something going wrong with the delivery service such as delays or cancellations. When researching a linen rental service company, it is important to ask for a list of their current customers. This will give you a lot of references to go off of and reach out to. If you see that they can currently handle customers that are larger than yourself, that is very good sign. Clearly, you want to outsource your linen services because of cost advantages. Naturally, the company pricing will play a large role in your executive decision-making styles. Keep in mind, the cheapest provider may not always be the best. If someone is higher price, take some time to ask why they are charging more than the competition. You might be surprised about how much you learn from your potential rental service company. If you want to be able to combine linen services and uniform services, it is certainly a wise decision. Remember to consider this if you are looking for the best linen service for your hotel or restaurant. Having additional options available, like uniform service or facility services, can make your business more efficient and may even secure you lower prices. Before choosing a linen service provider, see which companies offer additional programs for all your hospitality business needs. Remember, choosing a linen management company for washing your employee uniform performance dress shirts and more is a lot like choosing a partner. If you take the time to select the right one, they could service you for years to come. Furthermore, they will linen management off your hands so that you can focus on what makes your business great. My sister got engaged over this past weekend. It was interesting to read that linen services will drop off, pick up and clean the linens that you use during your event. I hope this article can help us to ensure that the linens for my sister’s reception matches the colors of the wedding.